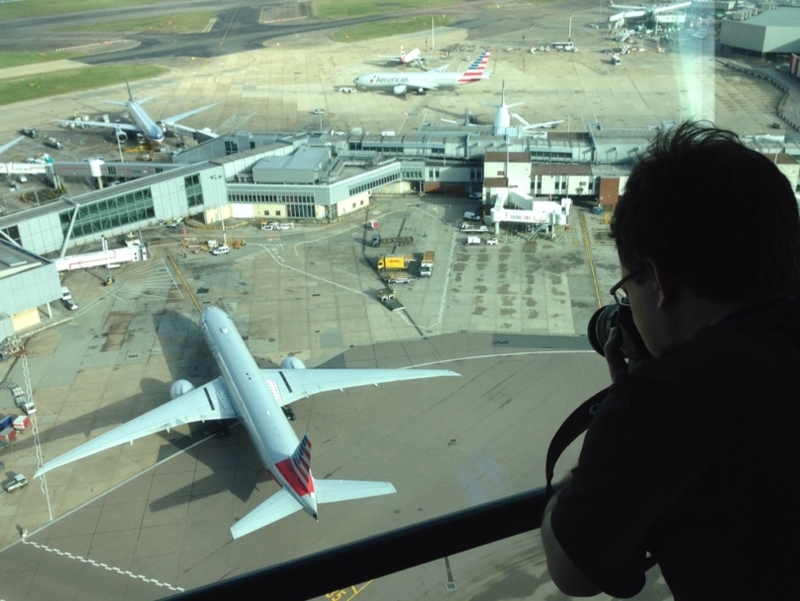 Keen photographer and plane spotter, Tim Easter, had the best view in the house last week thanks to a visit to Heathrow’s air traffic control tower. Tim, 34 from Hertfordshire, was the runner up in a photography competition staged by the airport and air traffic control company, NATS. 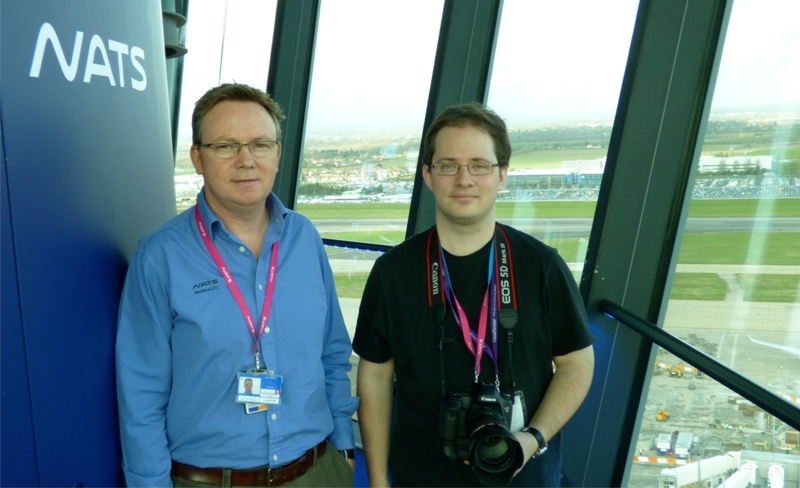 His prize saw him take a behind the scenes tour of the state of the art facility with the chance to then take photos from the top of the 87 metre high tower. The NATS controllers at Heathrow orchestrate 1,350 take offs or landings everyday, making it the busiest dual runway airport anywhere in the world. Being a Heathrow controller is therefore a highly specialised job that requires enormous skill. Tim met David Marshall, NATS Head of ATC Training at Heathrow, who as well as being a controller himself, has responsibility for nurturing the next generation of talent. Tim with David Marshall, NATS Head of ATC Training at Heathrow. Tim’s photos from his visit can be seen on his Flickr page.